I want to show you just how powerful the first story really is. Ever since I listened to episode 668 of the podcast This American Life last month, I’ve been asking people, “What do you think about MSG?” Now you might remember that MSG, or monosodium glutamate, is a controversial food flavouring commonly used in Chinese cooking. Sure enough, nearly everyone I ask has a negative thought about it, ranging from a clear memory of its ill effects to the vague idea that MSG is bad. Then I tell them the story of how the distaste for MSG started. In 1968, Dr Robert Ho Man Kwok, a senior researcher at the National Biological Resource Foundation in Springfield, Maryland, wrote a letter to the editor of The New England Journal of Medicine recounting his experiences eating out at Chinese restaurants, especially those serving northern Chinese food. He explained that afterwards, he would often get numbness at the back of his neck and down his arms, and general weakness and palpitations. Dr Kwok then listed some possible culprits. Maybe it was the soy sauce. No, we have that at home and I don’t get these symptoms there. How about the cooking wine? Maybe it’s the high salt content. Or could it be the monosodium glutamate seasoning? Kwok’s letter created a media storm. Newspapers around the US and then around the world warned of the dangers of the Chinese Restaurant Syndrome caused by MSG. Chinese restaurant-goers started asking if their meals had MSG, and demanding food without it. I remember how, when I was a teenager in the late 1970s and early 1980s, Chinese restaurants would clearly display the words “No MSG added” on their menus and signage. Now remember, Dr Kwok just wrote a letter to an editor. It wasn’t a research paper. In fact, he finished his letter by saying, “Because we lack personnel for doing research in this area, I wonder if my friends in the medical field might be interested in seeking more information about this rather peculiar syndrome”. But still, the “MSG creates a bad reaction” story was told over and over. Then scientists thought they should test the actual effect of MSG on people. At first, the evidence was mixed. Some studies showed an effect while others didn’t. Over time, the researchers realised that the early studies had tested super-high doses of MSG, and without food being involved. In one study, they injected MSG into the stomachs of mice, which didn’t quite replicate how people normally consumed the food seasoning. 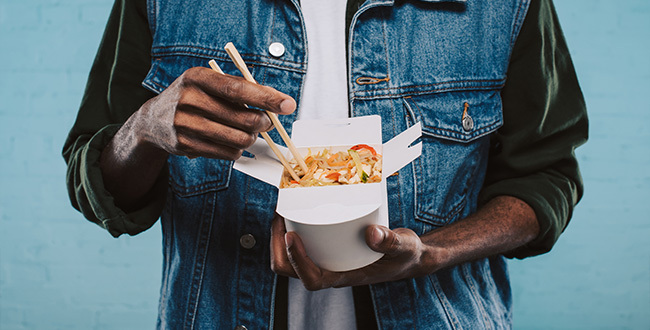 After 19 papers had been published, a team of researchers in Australia decided to run a study to measure the effects of high but realistic doses of MSG on healthy adults. They conducted an experiment on 71 volunteers and went to great lengths to disguise the taste of MSG in the study. They concluded that “‘Chinese Restaurant Syndrome’ is an anecdote applied to a variety of postprandial [after-dinner] illnesses; rigorous and realistic scientific evidence linking the syndrome to MSG could not be found”. OK, so MSG doesn’t have poor after-effects. But does that scientifically tested revelation change your mind about MSG? Unlikely. I’ve said many times over the years that you can’t beat a story with fact. You can only beat it with a better story. But even a better story has a tough time against the first story, especially when the first story is given a lot of airplay. So if a story is emerging that’s causing you or your company pain, it’s important that you acknowledge it and then find and tell a better one. If you can’t find one, I’m not advocating that you make up a story – you need to do something that triggers a new and better story. Kwok, R. H. M. (1968). Chinese-Restaurant Syndrome. The New England Journal of Medicine, 278(14), 796. doi:10.1056/nejm196804042781419. Tarasoff, L. & Kelly, M. F. (1993). Monosodium L-glutamate: a double-blind study and review. Food and Chemical Toxicology, 31(12), 1019–35. doi:https://doi.org/10.1016/0278-6915(93)90012-N.